Welcome to SitcomsOnline Digest! This weekend, we're getting ready for the new fall season of television, but also looking well beyond that with more reboot news of yet another series, a celebration for the 50th anniversary of a CBS classic, and more. Let's get going! We didn't quite see this one coming, but One Day at a Time is not only being continued on DVD, but we'll see the entire series in one big swoop, with One Day at a Time - The Complete Series, set for a release on December 5 from Shout! Factory. Shout! Factory is also releasing Police Woman - Season Three, on December 19. 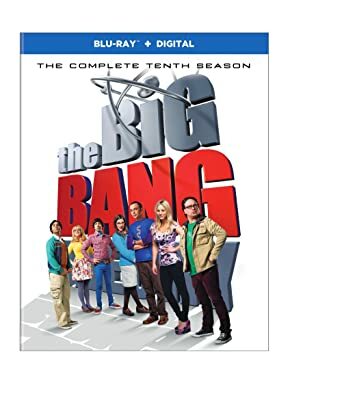 The Big Bang Theory - The Complete Tenth Season (DVD, $44.98; Blu-ray, $49.99): It's hard to believe they're already finished with the tenth season, but it arrives on DVD and Blu-ray in this release. The Goldbergs - The Complete Third Season (DVD, $26.99); The Goldbergs - The Complete Fourth Season (DVD, $26.99): Just ahead of the fifth season, Sony brings the fourth season (as well as the third season that they somehow failed to release a year ago as they normally would) of the series to DVD in two separate releases. Who to Follow: Bresha Webb (Twitter), "Actress/Comedian Starring in #Marlon @nbcmarlon premieres August 16 @ 9/930 following Americas Got Talent! #MeettheBlacks #Allie #WONTHEDOIT #LOOKATGOD"
Claim to Fame: Bresha Webb is currently starring on the NBC summer sitcom, Marlon, which has gone over relatively well with audiences and still awaits a decision on whether or not there will be a second season. She has previously appeared in a starring role on Love That Girl!, as well as in the short-lived NBC series Truth Be Told.